The husband (Michael Douglas) is a currency trader whose portfolio value is shrinking. The wife (Gwyneth Paltrow) is heiress to a $100 million fortune. The marriage is not a happy one, but the promise of long-term affluence keeps them together. 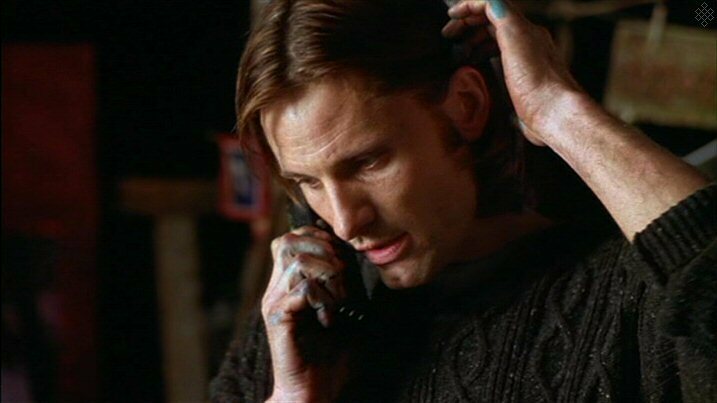 The wife pursues an affair with David Shaw (Viggo Mortensen), an artist who gives her all the passion she doesn’t get at home. The husband decides that his wife is worth more dead than alive. For Viggo Mortensen fans, there are a couple of rather steamy love scenes with Paltrow early in the movie, and of course the well-documented fact that the paintings in the artist’s studio are Viggo’s own works.